Course #6 Using touch screens & whiteboards to support interactive language teaching & learning. • (further) develop the competence and confidence of language teachers when using touch screens and interactive whiteboards (IWB). • promote language teacher professionalism in finding, selecting and evaluating existing resources and materials. 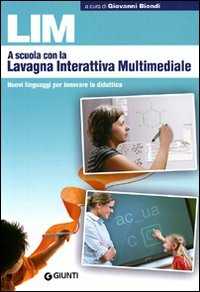 ​ raise awareness on the issues: `quality of IWB materials design’ and `enhancing interaction in the language classroom`. • develop participants’ skills related to adapting and designing materials. • empower teachers to stimulate the use of dialogue for learning with the help of interactive screens and whiteboards in the language classroom. The course combines plenary, tutor-led introductions of methodological topics & presentations to demonstrate and discuss exemplary IWB-materials & classroom procedures with follow-up activities when participants do practical work individually, in pairs and small groups applying the concepts and principles presented while analyzing and/or creating IWB materials and activities. To supplement the course’s pedagogical focus hands-on activities have been planned in a number of IWB-equipped rooms (n=3) to support further development of personal boards skills and competences for IWB-supported teaching. To address the anticipated variety in participants’ interests and needs (in terms of target language, target groups and individual IWB skills levels) most task designs aim to lead to differentiated relevant learning experiences and outcomes. Delegates are requested to bring subject book(s) and/or related ICT materials (if available) to be used when creating customised materials and activities. N.B. For the demonstration and practice of the pedagogical IWB-related concepts and materials SmartBoards and the related software ‘Notebook’ will be used. With a view to materials development for different IWB brands participants are advised to bring their own laptops with their preferred, IWB software and ICT tools pre-installed.